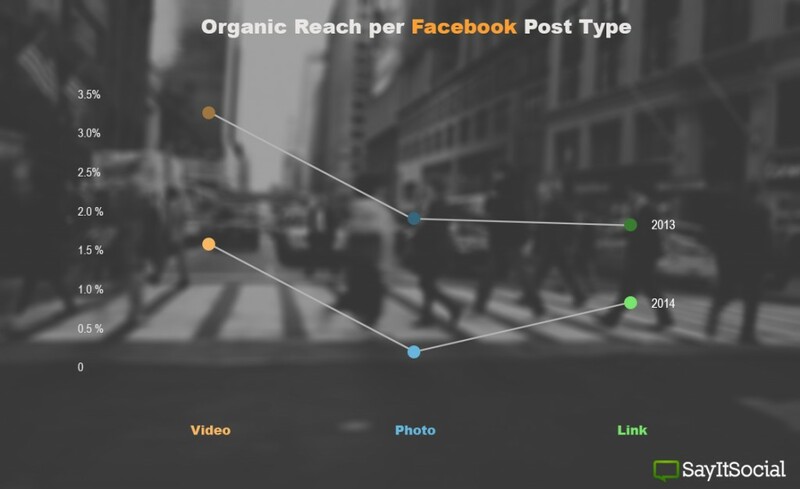 A prevailing trend as of late surrounds the demise of organic reach for brands on Facebook. The research team here at SayItSocial analyzed the analytics one particular client of ours who boasts Facebook fans just shy of 1 Million. The results were staggering – confirming the rise of importance of converged media in 2014 since Facebook’s latest algorithm change in January. Both video and photo content were organically uploaded whereas links directed to websites external to Facebook (including youtube). My opinion is that Facebook is looking to grow their margins, capitalizing on brands’ realizations that social marketing does actually work – however masking it as a ‘user preference’ scheme. True, Facebook did roll out surveys to its audience in order to improve its Timeline, however who likes being bombarded with ads regardless of the platform, traditional or digital? One of the most important trends surrounding content marketing is context. Timely stories, native to each platform, surrounding a context which people are willing to discuss to drive its organic virality, is the most important facet of content marketing today. This will be the only way to organically tell your story in a digital world where we have a surplus of content. News spreads at lightning speed, and so do Internet Memes – capitalizing on this, producing high quality content while ‘riding the hashtag’ wave is how brands are going to win. Real-time marketing, a cliché phrase at this point, is what possesses the most power in this industry – Buzzfeed has jumped on this producing high quality stories while adapting to the cultural movement of gifs and memes. This isn’t the only way to do it, however, as finding a brand’s creative niche in harnessing real-time marketing’s power is how virality starts. This client is now having to rethink its converged media approach – Are your clients having to do the same?